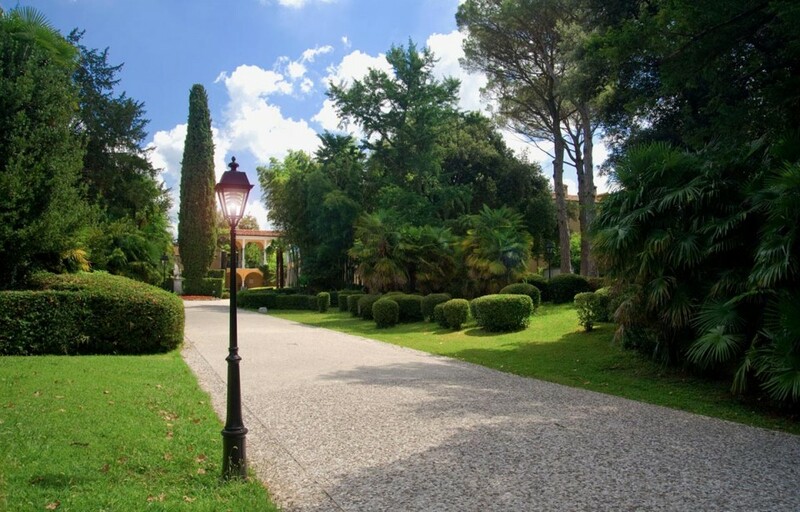 The Coronini Park was completed in the late 19th century in the framework of an ambitious urban regeneration project aimed at transforming Gorizia into a “garden city”, renown for its temperate and mild weather. It was neither damaged during the wars nor affected by the urban changes that had a huge impact on the city. 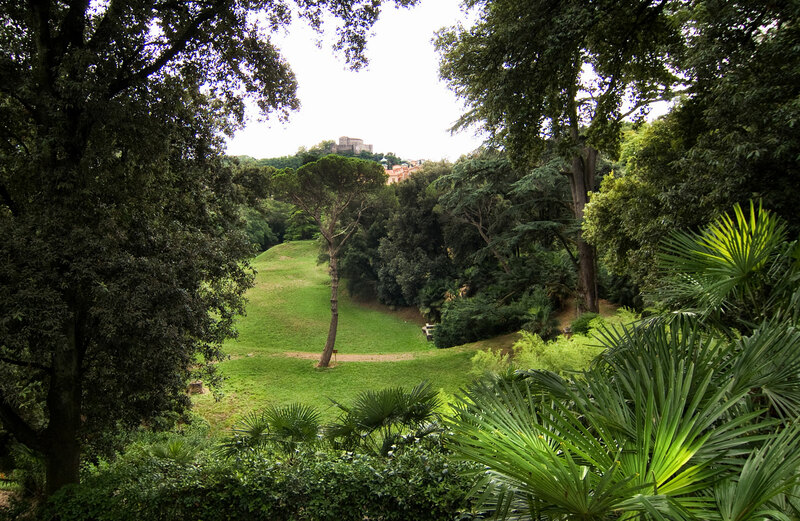 The Park still has a surface of about 5 hectares and preserve its fascinating original character. 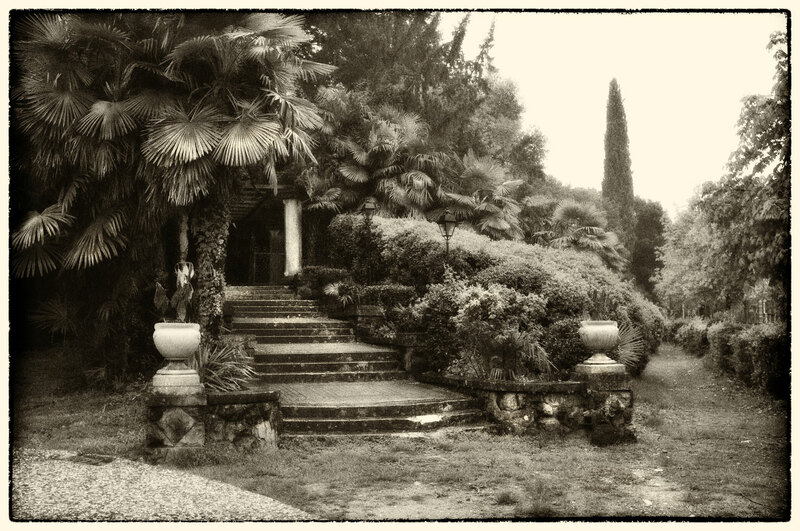 The design of the Park was attributed to Count Alfredo Coronini (1846-1920) who, making the most of his journeys in Italy and abroad, decided to transform and extend the original square Italian garden located on the side of the Palace, as evidenced in the maps of the time. 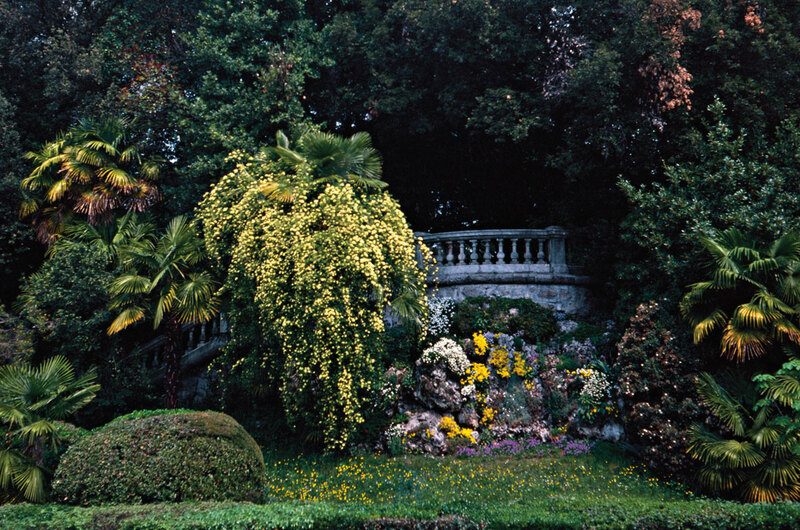 Following the uneven land, he designed a romantic garden, developed on multiple levels, whose different components, either natural or artificial, result into a sequence of evocative and picturesque views. 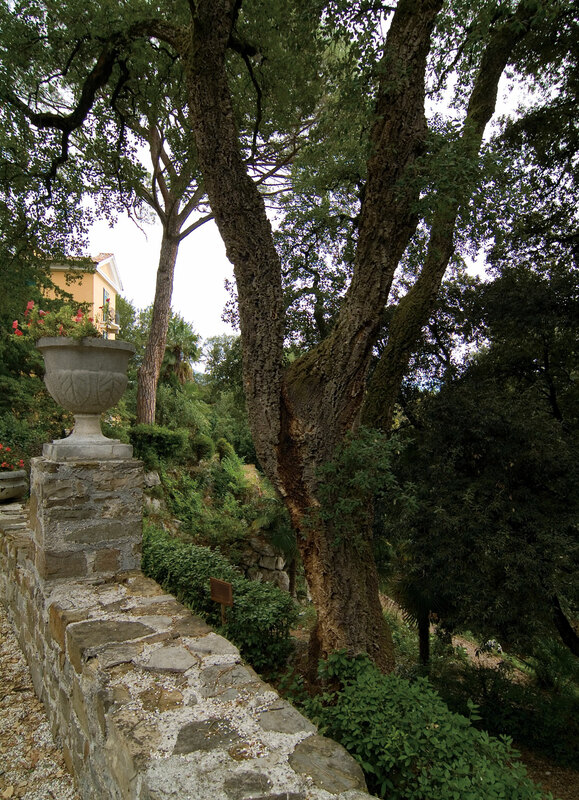 Sculptures, stairs, terraces and arbours, fountains and ponds stand out from the evergreen bushes: they were skillfully placed to offer a variety of paths, inspired by the design of Maximilian of Habsburg for the Miramare Castle (Trieste). 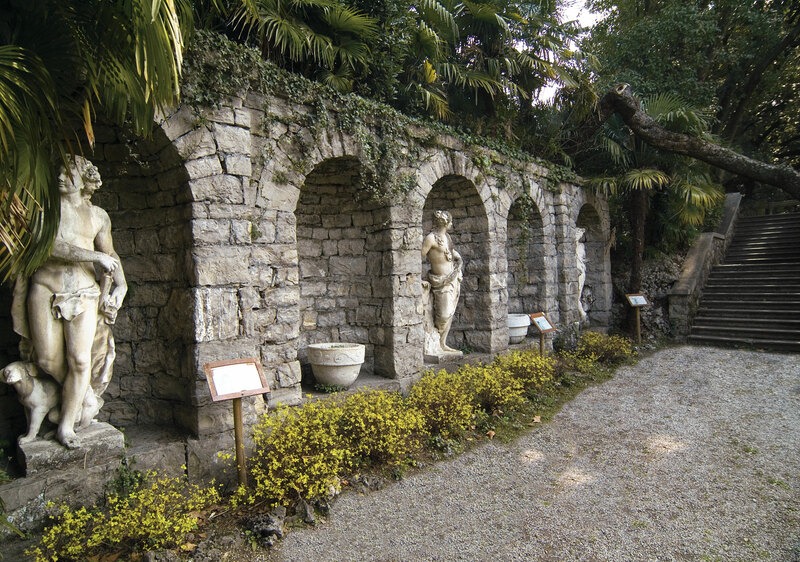 The main boulevard, starting from the entrance made of stone from Attems-Petzenstein Villa in Piedimonte (an area in the outskirts of Gorizia), leads to the statue of Giovanni Battista Coronini, created in the 18th century by Marco Chiereghin. From the big meadow in front of the Palace, with a statue of Hecate in triple form from the 2nd century – taken from the Castle of Monocorona (Kromberk), a Slovenian village since 1947 – there is a magnificent view on the Castle of Gorizia. The steep path along the rock garden leads into another large grass area that was the bed of the Corno river in the old times. 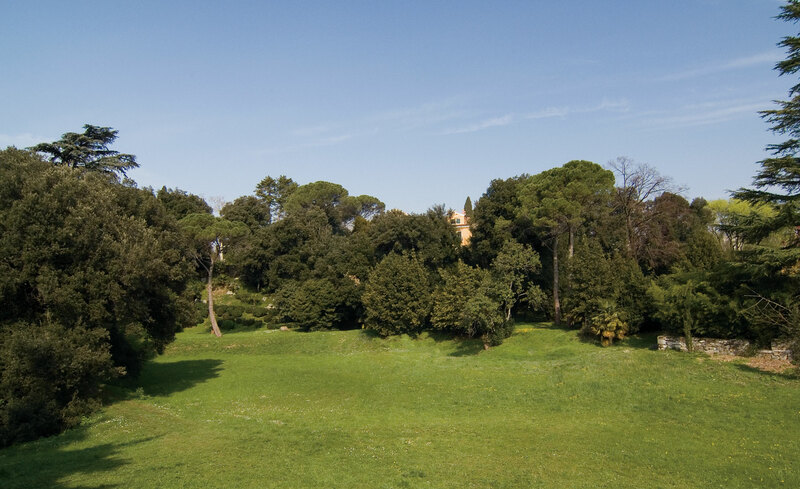 Finally, walking back along the main boulevard, you can reach an artificial hill dominated by a neoclassic temple, designed in 1913 by the Architect Girolamo Luzzato. Under the hill there are two superimposed underground rooms: 6000 trucks full of soil and stones from Gorizia Karst were used in order to create the hill. The underground irrigation plant is very interesting, too: a 22-mt deep well was built for this purpose in the lower part of the Park. The water was pumped and channeled into a complex grid of pipes all through the Park. 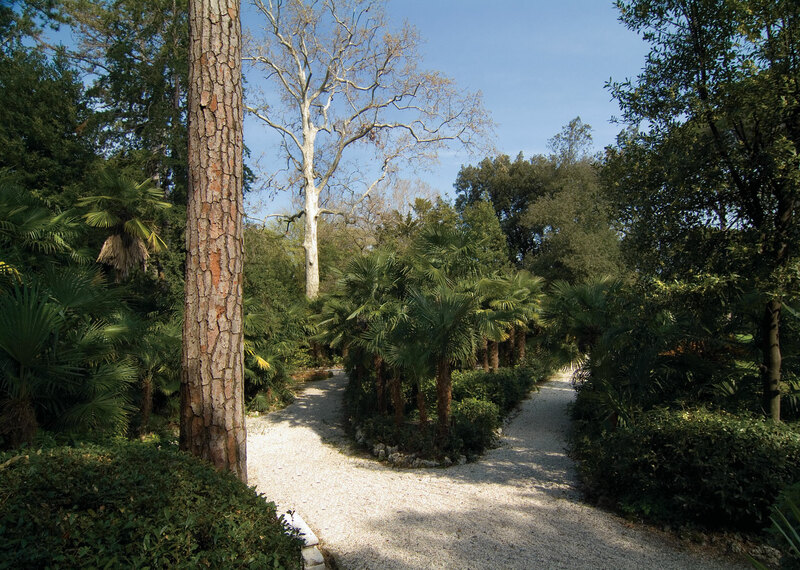 A variety of plant species enhances the beauty and the relevance of the Coronini Park, creating an exotic atmosphere in line with the trend of the 19th century in Gorizia. Most plants are trees and evergreen bushes, Mediterranean species or from hot areas, including palms, yews, cedars, maritime pines, cypresses, holm oaks, laurel trees, a 100-year old cork oak, Japanese plum trees, bamboos and a Ginkgo Biloba. In such a romantic Park there are also flower trees that were very much loved in the 19th century: magnolias, oleanders, roses and camellias.